Available at The Wild Rose Press. Make the ducks happy and win an estate! Mr. Christopher "Kit" Winnington can't believe the letter from his late great-aunt's solicitor. 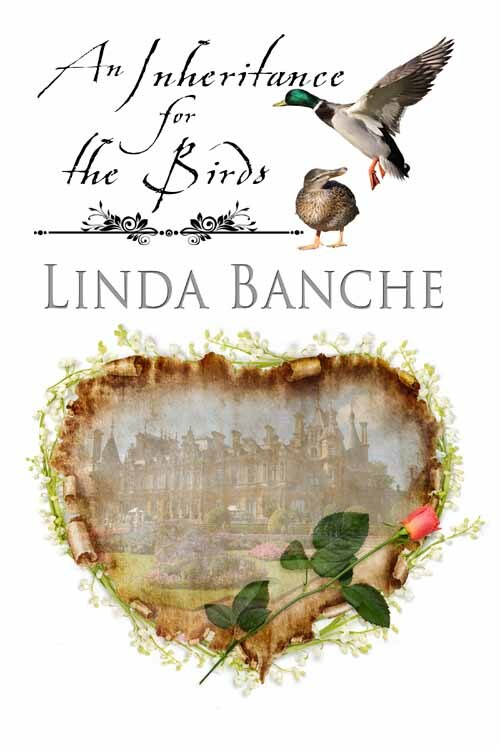 In order to inherit her estate, he must win a contest against her companion, Miss Angela Stratton. Whoever makes his great-aunt's pet ducks happy wins. A contest: What a cork-brained idea. This Miss Stratton is probably a sly spinster who camouflaged her grasping nature from his good-natured relative. There is no way he will let the estate go to a usurper. Angela never expected her former employer to name her in her will. Most likely, this Mr. Winnington is a trumped-up jackanapes who expects her to give up without a fight. Well, she is made of sterner stuff. The ducks quack in avian bliss while Kit and Angela dance a duet of desire as they do their utmost to make the ducks--and themselves--happy. Yawning, he shut the door behind him. Enough ducks and prickly ladies for one day. After dropping his satchel by the bed, he dragged off his clothes and draped them over the chair back. He dug a nightshirt from the valise and donned the garment before he blew out both candles. Bates had already drawn back the bedclothes. The counterpane was soft under Kit's palm, and covered a featherbed. He grinned. By any chance, had they used the down from the pet ducks to stuff the mattress and pillows? A bundle of flapping, squawking feathers exploded from the depths of the covers and attacked him. Throwing his arms over his head for protection, Kit fell out of bed. He scrambled to his feet and bolted for the door, the thrashing, quacking explosion battering him. A serrated knife edge scraped over his upper arm. "Ow!" Batting at the avian attacker with one hand, he groped for the latch with the other. The door swung open. Miss Stratton, her candle flame flickering, dashed into the chamber. "Esmeralda, you stop that right now!" The feathered windstorm quacked once more and, in a graceful arc, fluttered to the floor. Kit lowered his arms and gave a mental groan. A duck. He should have known.